While it's true that some eye symptoms resolve on their own, it's better not to take the chance when your eyesight is at risk. Here are seven eye symptoms that should be checked out by an eye doctor immediately, as they could indicate a serious underlying condition that could threaten your vision. 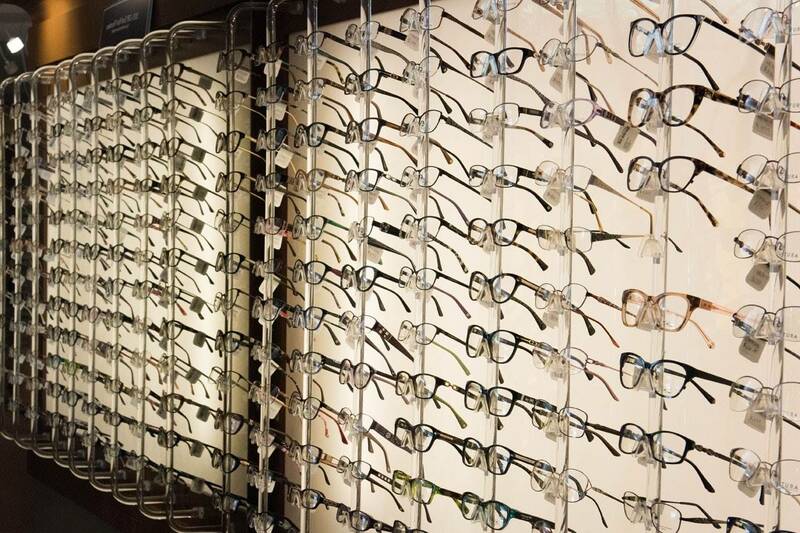 Remember, even if you think the issue is minor, getting proper medical attention could be vital to saving your vision. Frequent FloatersFloaters are shadows or spots that appear to float through your field of vision, particularly when you are looking at a solid colored or bright background such as the blue sky or a white wall. They can appear in a variety of shapes such as a shower of dots or mosquito shaped for example. It is common to see floaters on occasion, however if you experience a sudden increase, especially in combination with pain, flashes or loss of peripheral vision, you should see a doctor immediately. Flashes of light may appear as a quick spark or jagged streaks of light or arcs among other shapes. This could be a sign of a very serious problem such as detached or torn retina, a hemorrhage or bleeding inside the eye, an inflammation of the vitreous or retina caused by an infection or injury or an eye tumor. In the case of a retinal detachment, the different pattern of floaters or flashes depend on how the retina tears, so if you suddenly notice a distinct pattern of floaters or light in your vision, don't delay: seek medical attention within 24 hours. Persistent Redness or IrritationWhile minor redness can simply be a result of allergies, exhaustion or extended contact lens wear, there are some more serious causes of eye redness, especially if it persists or is accompanied by pain, swelling, discharge, vision disturbance or severe itchiness. Along with conjunctivitis (or pink eye) which can be a very contagious eye infection, redness can indicate a corneal scratch, uveitis or glaucoma. Excessive Watery EyesWhether you have a foreign object in your eye or are experiencing dryness due to allergies or environmental factors, eye watering is a natural response to keep your eyes healthy, comfortable and safe. When it is constant and disruptive, however, this is no longer normal. Excessive eye watering could indicate a chronic condition such as dry eye syndrome, tear duct problems or problems with the cornea such as a scratch or an ulcer. Foreign Body in the EyeIf you experience a foreign object in your eye, the first thing to do it try to flush it out. Never rub the eye as it could cause even greater damage. If your efforts to flush the object out are not successful it is time to see a doctor. Additionally, if you are experiencing vision disturbances, pain or redness while the object is there or after you think you have removed it, see an eye doctor immediately. Ptosis (Droopy Eyelid)Ptosis or drooping eyelids is seen in one or both eyelids and can be caused by benign conditions such as allergies or merely part of the aging process. Nevertheless, it can also be a sign of a serious condition such as nerve damage, a stroke, brain tumor or a condition called myasthenia gravis, which is a neurological condition that affects the muscles of the eye. It is also sometimes a result of eye surgery or injury. Often ptosis will resolve gradually on its own, however it is something that should be checked out, especially if it occurs suddenly, to ensure there is no serious underlying cause. Bleeding EyesA subconjunctival hemorrhage in the eye is when a blood vessel right under the surface of the eye breaks. You will see that the white part or sclera of the eye has turned red. Usually, this common occurrence is nothing to be concerned about as this can happen from something as simple as straining, a sneeze or cough. In this case there is nothing to do and it will resolve on its own. If however, the redness comes after an injury to your eye or head it could indicate that there is bleeding in the brain and should be examined immediately. Moderate to Severe Eye PainThere are several causes of eye pain, the most serious of which is acute angle closure glaucoma or uveitis. Other causes of pain can include corneal abrasions and ulcers, scleritis, orbital cellulitis and sinusitis.